Contact Paul Chatlos at 203.319-4304 or [email protected] for all your data science and big data analytics hiring needs. One of Nancy’s favorite hobbies is cooking for family and friends. And when she’s at the office, she does soup to nuts recruiting as team leader and executive recruiter for the marketing analytics and data science practice in the Midwest and South regions. She believes that the recipe for success involves working closely with both clients and candidates. Nancy knows that her clients have a lot on their plates and need recruiting assistance from a professional, so she focuses on serving up a menu of qualified candidates that fit her clients’ technical, industry and soft skill requirements. In her broad recruiting area, she hunts down cream of the crop candidates at all levels, from small potatoes to big enchiladas. Her overall assessment of her career at Smith Hanley? It’s been a fun way to bring home the bacon. Paul specializes in the recruitment of quantitative marketing and data science professionals. He prides himself in building excellent relationships with both clients and candidates in order to best address their hiring needs and career goals. Paul has spent the majority of his professional career in the recruitment industry. He has recruited sales and marketing professionals in the pharmaceutical, medical device and biotechnology industries as well has worked in physician recruitment. He holds a BS in psychology from James Madison University. Analyst, Analytics, Analysis, Big Data, Business Analysis, Business Analyst, Data Analysis, Data Analyst Digital Analytics, Database Management, Data Mining, Data Scientist, Decision Science, Digital Analytics, Econometrician, Econometric Modeling, Forecasting, Machine Learning, Marketing Analytics, Market Research, Market Mix Modeling, Media Mix Modeling, Modeling, Pricing, Programming, Promotion Response, Sampling, Statistics, Statistical Analysis, Statistician, Survey Methodology, Web Analytics, R, SAS, Python, SQL,: Classification Methods including Neural Net, Logistic Regression, Decision Trees, KNN, SVM, Random Forest; Regression methods including Linear, Nonlinear, Boosted Regression Trees; Clustering methods such as K-means, Fuzzy C-means, Hierarchical Clustering, Mixture Modeling; Time-series Modeling using AR, ARMA, GARCH, Exponential Smoothing, also, Hypothesis Testing, Experiment Design, Hierarchical Modeling, Bayesian Inference, Java, Matlab, Octave, R, VBA, Linux, Shell Scripting, Map-Reduce, Hadoop, Hive, NoSQL ,: cognos, Informatica, OLAP, Oracle, Qlikview, Sybase, Spotfire, Teradata, MS-Access, Relational Databases, XML, JSON, PLSQL, NOSQL, Oracle 11g, MongoDB, Omniture, Google Analytics, and Spring Metrics. Data Science Recruiter, Data Science Recruitment, Data Science Recruiting, Data Science Recruiters. Eda joined Smith Hanley Associates in 2000. Her relationships with her clients and candidates is one of personalized, knowledgeable service. Helping companies develop and build groups, and working with candidates throughout their careers, are the hallmarks of her recruiting practice. Eda’s expertise is in the recruitment of pharmaceutical and biotech healthcare professionals in the quantitative and statistical area. Her practice is within the marketing analytics space that concentrates in marketing science, sales analytics, forecasting and promotion response. 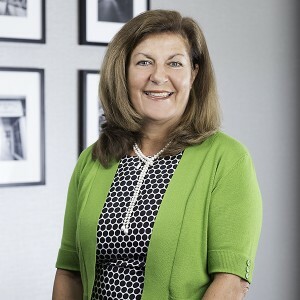 Before joining Smith Hanley Associates, Eda spent more than 20 years in the nonprofit sector with the Muscular Dystrophy Association (MDA). She had regional sales and marketing responsibilities in metropolitan New York. With expertise in membership development, special events and promotions, Eda fostered strong business relationships with corporations through strategic alliances and partnerships throughout her tenure. She holds a BA in sociology from Rosemont College. Pharma, Biotech, Healthcare, Medical Device, Management Science, Marketing Science, Sales and Marketing Analytics, Forecasting, Call Planning and Targeting, Sales and Commercial Effectiveness, Promotion Response Analysis, Territory Alignment, Sales Force Size and Structure, Marketing Mix Analysis, Statistical Analysis, Big Data, SAS, R, Hadoop, SQAL, SPSS, Spotfire, Microsoft Access, Microsoft Office. Rachel has acquired an in-depth understanding of her recruiting practice allowing her to quickly define her clients’ needs and provide them with a pipeline of qualified candidates. She considers building relationships with candidates and clients alike to be of paramount importance in her niche-oriented recruiting environment. She is a graduate of Louisiana State University with a degree in International Business. Areas of Expertise: Analyst, Analytics, Analysis, Big Data, Business Analysis, Business Analyst, Data Analysis, Data Analyst Digital Analytics, Database Management, Data Mining, Data Scientist, Decision Science, Digital Analytics, Econometrician, Econometric Modeling, Forecasting, Machine Learning, Marketing Analytics, Market Research, Market Mix Modeling, Media Mix Modeling, Modeling, Pricing, Programming, Promotion Response, Sampling, Statistics, Statistical Analysis, Statistician, Survey Methodology, Web Analytics, R, SAS, Python, SQL,: Classification Methods including Neural Net, Logistic Regression, Decision Trees, KNN, SVM, Random Forest; Regression methods including Linear, Nonlinear, Boosted Regression Trees; Clustering methods such as K-means, Fuzzy C-means, Hierarchical Clustering, Mixture Modeling; Time-series Modeling using AR, ARMA, GARCH, Exponential Smoothing, also, Hypothesis Testing, Experiment Design, Hierarchical Modeling, Bayesian Inference, Java, Matlab, Octave, R, VBA, Linux, Shell Scripting, Map-Reduce, Hadoop, Hive, NoSQL ,: cognos, Informatica, OLAP, Oracle, Qlikview, Sybase, Spotfire, Teradata, MS-Access, Relational Databases, XML, JSON, PLSQL, NOSQL, Oracle 11g, MongoDB, Omniture, Google Analytics, and Spring Metrics. Data Science Recruiter, Data Science Recruitment, Data Science Recruiting, Data Science Recruiters. "It was awesome. Rachel was super awesome. She was super responsive and helped me through the process and updated me with all information in a timely manner. Thanks!"